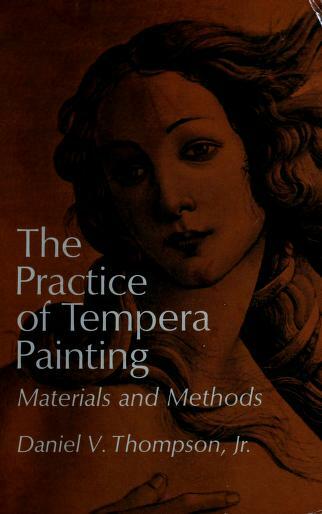 2 editions of The practice of tempera painting found in the catalog. Add another edition? Are you sure you want to remove The practice of tempera painting from your list? Published 1962 by Dover Publications in New York . "The basis of the method that this book endeavors to explain is the account of Giottesque tempera painting given by Cennino d'Andrea Cennini in his Libro dell'Arte." - Pref. "Appendix. Tempera practice in the Yale art school [by] Professor Lewis E. York": p. -138.